Ludene Dees Carling, age 85, peacefully left this earth to return home to her Father in Heaven, surrounded by her loving family, on Sunday, May 20, 2018. She was born on April 17, 1933 in Mesa, Arizona to Rozeal Preston Dees and Zina Adell Harper Dees. Ludene was a native of Mesa and graduated from Mesa High School in 1951. She was a lifelong member of The Church of Jesus Christ of Latter-day Saints and served in many capacities within the church, namely, Stake and Ward Relief Society and Primary. Ludene wrote beautiful poetry, was an amazing artist, a fantastic cook, and the best mom, grandma, and great-grandma anyone could ever have. 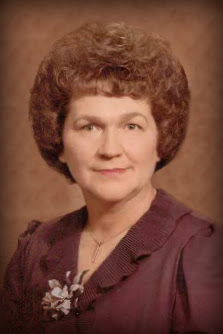 Our sweet mother is survived and will be greatly missed by her loving husband of 64 years, Chad J. Carling and their five children, Chad Gary (Lynette), Gayle Workman (Mark), DeeAnn Garner (Lee), Sherri Stradling (Darton), and Randy Dale Carling. She is also survived by her 16 beautiful grandchildren; 31 precious great-grandchildren; her little brother, Leslie Rice (Louise); and many other family members and friends. Ludene was preceded in death by her parents; three brothers, Darwin Dees, Varis Dees (Christine), and Naris Dees (Lillian); and her three sisters, Arthella Berg (Antone), Naydell Ball (David), and Joanna Leavitt (Laurel). Funeral services for Ludene will be held on Saturday, June 2, 2018 at the Maricopa Stake Center, 613 N. Stewart, Mesa, Arizona 85201, at 11:00am, with a viewing one hour prior to the services in the Relief Society room. We wish to thank all of her wonderful, caring nurses that she was honored to have take care of her in her last few months on Earth. Namely, the 4th floor neuro nurses at Banner Desert Hospital. They were the best. Although I didn’t know your mother, I’m sure she was a very sweet. We will miss Aunt Ludene. We pray for peace and comfort to all who feel her loss. We became acquainted with this beautiful lady when our daughter married into the Workman family. Chad and Ludene would always make us feel so special. We loved to come visit and trade Idaho potatoes for their yummy oranges! We have been so blessed to know this great family. We send our sincere sympathy.